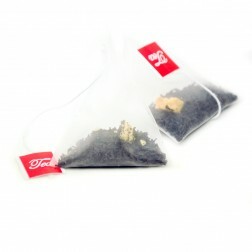 The pyramid sachets are ideal for traveling or the busy weekday mornings. They minimize the preparation and brewing time. 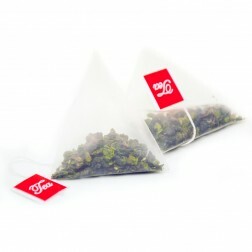 Each pyramid tea sachet could easily brews 2-3 cups or a small pot of tea in 2 minutes. 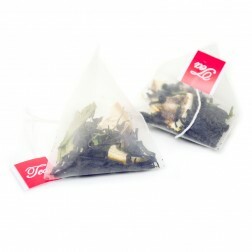 The 3D pyramid shape sachet gives the full leaf teas more room to infuse, offers plenty of space for them to unfurl, expand and reach thier full potential thus achieving the fullest taste and finest aromatic quality in every brewing, while minimizing the preparation and brewing time. 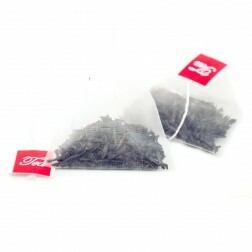 Because of the transparency of the sachets, the loose leaves(blends) that packed in the sachets are visible, obvious. 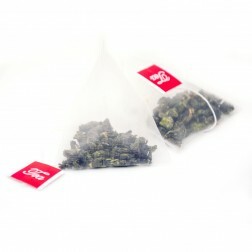 So you could easily find that only the high quality whole leaf teas are used in our pyramid sachets. Our pyramid sachets are made of food-grade corn starch material and are bio-degradable. They are sealed by an ultra sonic process, which also attached the tags and strings. They’re super clean, biodegradable and eco-friendly.